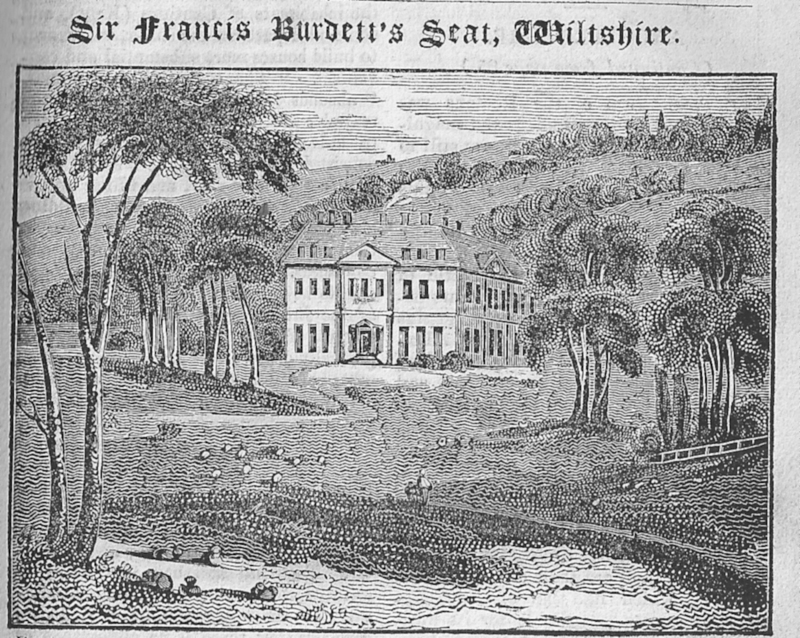 Once again we are delighted to welcome back our lovely guest Sue Wilkes who has written another fascinating article for us, this time about the social reformer – Sir Francis Burdett. 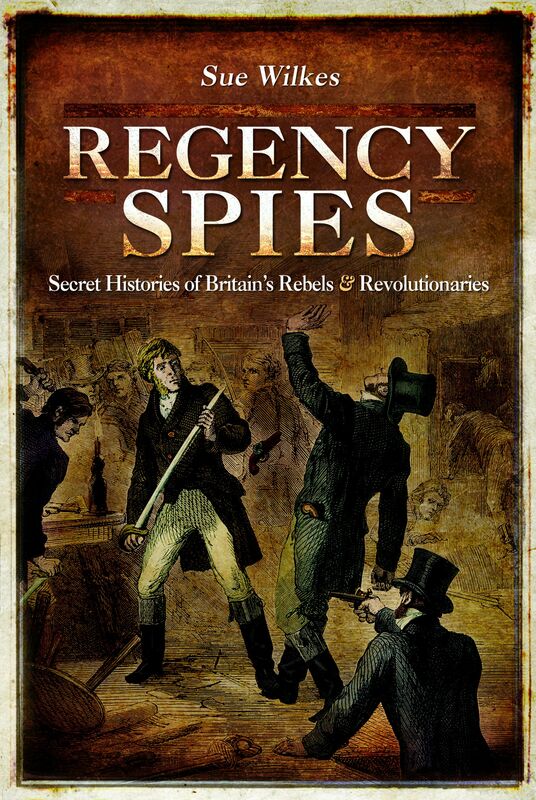 Her latest book, Regency Spies will be available at the end of this month (further information about how to purchase this book is given at the end of the article). The leading members of the parliamentary reform movement of the Regency era, like Major Cartwright and Sir Francis Burdett, had no truck with regime change by physical force; they wanted constitutional reform. However, their names were used by the more revolutionary-minded reformers to lend an aura of respectability, and help gain recruits to their cause. Sir Francis Burdett’s name often appears in spy reports on the reformers’ doings as a possible leader if an uprising took place. The government kept close watch on his activities. However, unlike fellow reformers such as Henry Hunt, who wanted universal male suffrage, the baronet wanted male suffrage for householders (so only those owning property would have the vote). 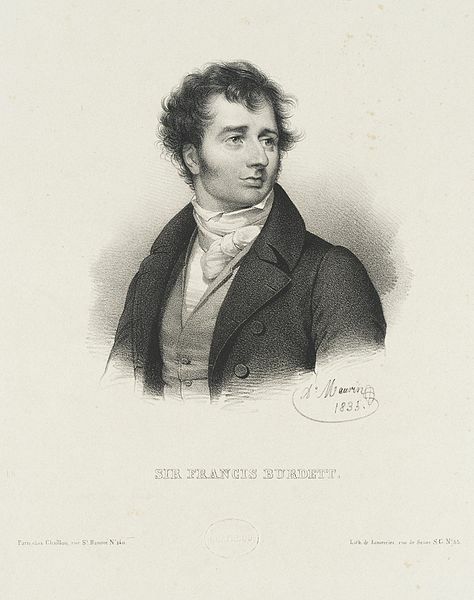 A hot-headed young politician, Burdett (1770–1844) was educated at Westminster School and Oxford. He married Sophia Coutts (of the famous banking family), and first entered parliament in 1796, when he was elected MP for Boroughbridge. A handsome, popular speaker, he was a determined opponent of the government’s suspension of Habeas Corpus during its crackdown on parliamentary reformers. Although Burdett steered clear of any public involvement with political extremists, it’s hardly surprising that many Radicals and reformers popped in to see him when visiting the capital. Sir Francis met and corresponded with Irish republicans like Arthur O’Connor. Burdett was a member of the London Corresponding Society (LCS). Most of this society’s members were devoted to constitutional reform. However, the government, and many contemporaries, believed this was just a front for plotting rebellion. In 1798, several members of the LCS were arrested under suspicion of treasonable practices; one was Colonel Despard, who had served with Lord Nelson overseas. Burdett visited Despard in Coldbath-Fields prison, and was shocked by the poor living conditions there. Burdett put pressure on the prison authorities, and succeeded in getting the colonel moved to a better cell. But despite his efforts on behalf of Despard and other prisoners held without trial, Burdett was unable to get Habeas Corpus lifted. In 1801, Despard and several other political prisoners were freed. The colonel was hanged in 1803 two years later for his part in an alleged plot to attack London – or was he set up by government spies and informers? Sir Francis Burdett was immensely popular with the London masses. In 1806 Burdett and Lord Cochrane, a Whig, were elected MP’s of the City of Westminster by its fiercely independent-minded voters. Burdett’s election in 1807. 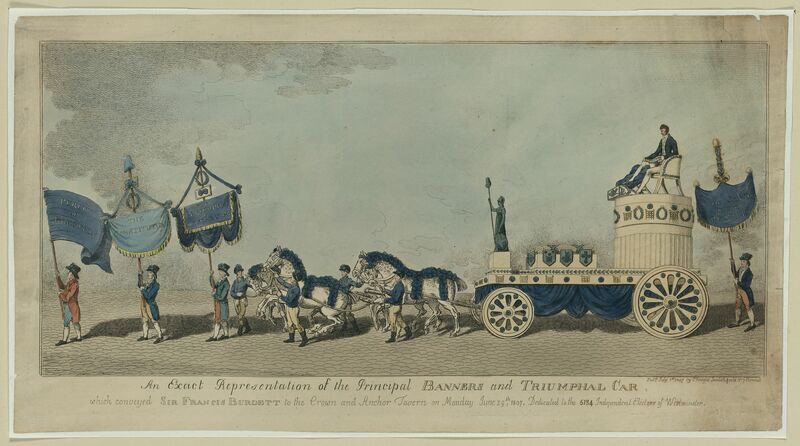 ‘An exact representation of the principal banners and triumphal car, which conveyed Sir Frances Burdett to the Crown and Anchor Tavern on Monday June 29th, 1807’. Courtesy Library of Congress. In 1810, Burdett published a polemic in Cobbett’s Weekly Register in which he argued that the House of Commons had exceeded its powers after John Gale Jones, a Radical speaker, was jailed in Newgate for writing a handbill. Burdett argued that if MPs became ‘destroyers of the liberties of the people’, then their ‘oppression’ was ‘combined with treachery; they destroy where they are bound to protect’. A furious House of Commons decided that Burdett’s article was a breach of its privileges. On 7 April, the Serjeant-at-Arms was sent to arrest Sir Francis and take him to the Tower of London. But Burdett barricaded his house, and refused to go. A mob gathered around his town house, and the windows of several leading MPs were broken. After many arguments about the legality of the arrest warrant (and even whether the Serjeant was entitled to break down the door to arrest the baronet), Burdett was eventually taken forcibly to the Tower of London by twenty to thirty police-officers, and a detachment of cavalry. A riot broke out, and a number of people were killed and injured. Petitions flooded into parliament for Burdett’s release, but he was not freed until the end of that parliamentary session. 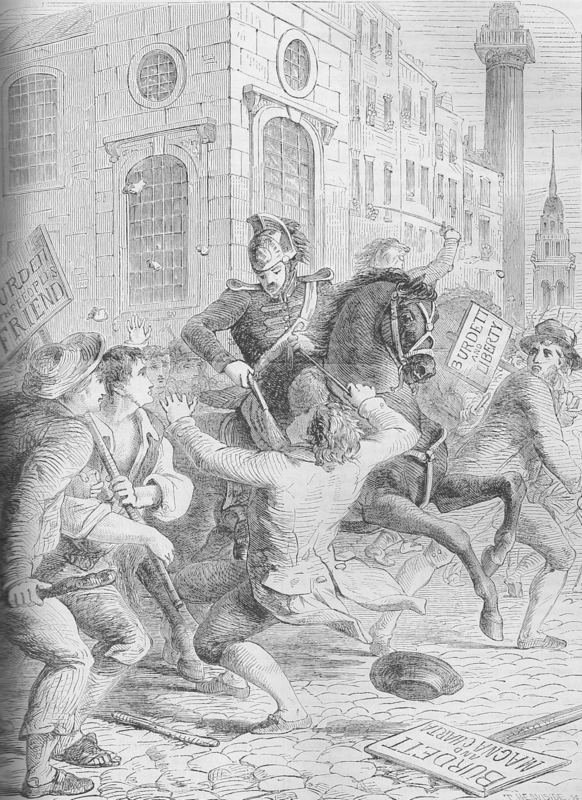 The Burdett riots of 1810. Old and New London Vol. VI. (Cassell, Petter & Galpin, c.1890). Author’s collection. Burdett got into hot water again in 1819, following the Peterloo massacre, in which several people died when the Manchester magistrates sent sabre-wielding troops into the midst of a peaceful reform meeting. Sir Francis wrote an angry attack on the magistrates’ actions, and was fined and jailed again. A few years after the 1832 Reform Act (somewhat) broadened the electoral franchise, Burdett left the Whigs and joined the Tories. He had no appetite for further reform. Burdett died on 23 January 1844; he was buried at Ramsbury, in Wiltshire. Despite the seeming inconsistency of his later political leanings with those of his early days, Burdett will always be remembered for his fearless, outspoken criticism of government repression during a very dark period for the nation’s liberties. Sue Wilkes is the author of Regency Spies (Pen & Sword, 2015) and A Visitor’s Guide to Jane Austen’s England (Pen & Sword, 2014).